CHULA VISTA — Climate change earned another acknowledgement this month as the California Coastal Commission unanimously approved on Aug. 12 a policy guidance document to address sea level rise up and down the state’s coast. Coastal Commission Executive Director Charles Lester said sea level rise could happen soon or occur much later, but adopting a policy guidance document would help keep options open and help local and state leaders to adapt to any future event. State officials and commission staff spent nearly two years crafting the policy guidance document, which falls short of being a regulatory scheme but instead aims to provide government agencies with recommendations of how best to address potential sea level rise. Commissioner Mary Shallenberger said the document is not cookie cutter and provides city governments with flexibility. “Local governments really are given a great deal of flexibility in here. Everything in this guidance [advocates looking] at what’s on the ground, then applying it to the specifics of what you have on your particular coast,” Shallenberger said. “This guidance has been prepared to assist planners and project applicants in understanding and preparing for some of the far-reaching implications of sea level rise. It does highlight the regulatory actions that may need to consider sea level rise and it offers suggestions for ways to incorporate sea level rise into planning and regulatory decisions, when needed,” commission staff stated in a report to commissioners. NOAA Coastal Management Fellow Kelsey Ducklow said the sea level rise guidelines recommend adaptive strategies on a case-by-case basis. The document includes guiding principles of how to address sea level rise, a discussion of best available science, adaptive strategies and legal and technical information. Also included in the document are step-by-step instructions of how local governments can address sea level rise in the Local Coastal Programs and the Coastal Development Permit process. Becky Smyth, the West Coast regional director with NOAA’s Office of Coastal Management, said local communities would be able to rely upon the commission’s policy guidance to better address sea level rise. “A lot of local governments are looking for tools. The guidance [document] does a really good job of providing a really comprehensive [and] relevant list of tools,” Smyth told commissioners. There were some concerns with the policy guidance document. Don Schmitz, a land use attorney who represents Newport Beach, told commissioners the proposed guidance policies of how to analyze sea level rise differ from how the Orange County municipality conducted its own studies on the issue. Newport Beach, he said, spent three years studying how to address the impacts of sea level rise along the city’s coastline and within the harbor. The city’s planned presentation of a policy proposal to the Coastal Commission later this year could be jeopardized by the agency’s guidance document, Schmitz said. “The suggested, ascribed policies and procedures for analyzing sea level [rise], which are in this guidance document, are new. They’re different. If we are going to be required to [follow the new procedures], then our entire LCP process is going to come to a screeching halt, which we would find disconcerting,” Schmitz told commissioners, adding he hoped the commission would work with Newport Beach to ensure the city could continue to develop its policy proposals. Commissioner Roberto Uranga said the policy guidance document should factor current projects into future plans and serve as a living document. Uranga specifically cited Avalon’s fuel pier dock as a project not consistent with policy guidance document but should be grandfathered into the commission’s plans. 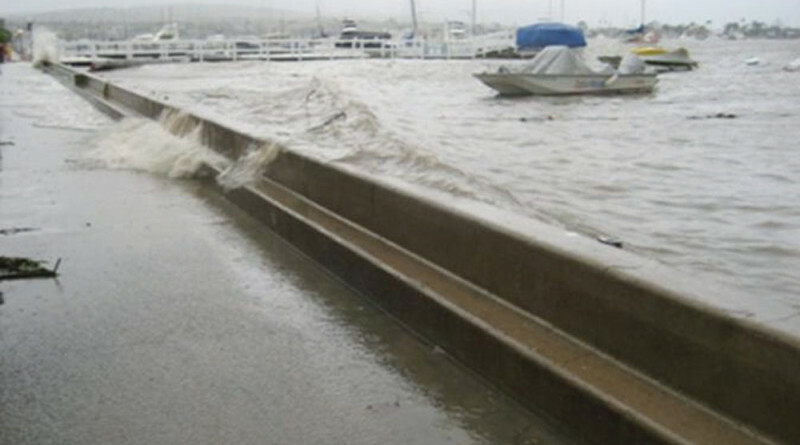 Commission staff responded the policy guidance document provides recommendations of how to address sea level rise. Another concern: How could the commission assist cities who do not have the funds to conduct studies or hire consultants to advise them of how to address sea level rise and implement the policy guidance document’s recommendations? Commission staff said they will continue to hold workshops and public meetings to help local governments craft sea level rise programs within the context of the policy guidance document. A Pacific Institute study predicts California will experience up to 4.6 feet of sea level rise by 2100, placing about $100 billion worth of property at risk of coastal flooding. Commission staff cited reports claiming about 21 million people lived in the state’s coastal counties as of 2014.